Manufacturer & Exporter of Discharge Resistors. Our product range also comprises of Film Resistors, Wire Wound Resistors and High Voltage Resistors. Owing to the profound experience of the industry, we are bringing forth a gamut of highly efficient Discharge Resistors that are appreciated for their flawless performances. These resistors are highly reliable as these are well tested for quality by a team of experts ensuring qualitative outcome at customer’s end. 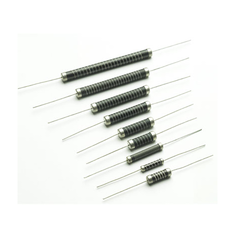 Easy to install, these resistors are highly durable for the excellent quality raw material they are fabricated with. These resistors are fabricated as per the industry laid norms. Moreover, customers can avail customized resistors from us. Looking for Discharge Resistors ?